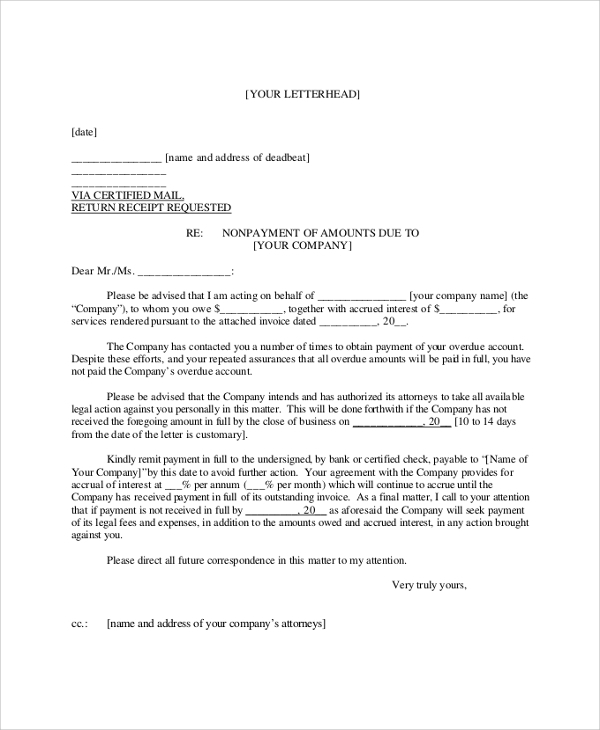 Demand Letters are frequently used by individuals, companies or commercial establishments that demand payment for delinquent accounts. Oftentimes, these cannot be avoided since there are circumstances that a debtor may not be able to pay on time. In a worst-case scenario, debtors may never pay at all and will not give any valid reason for doing so. 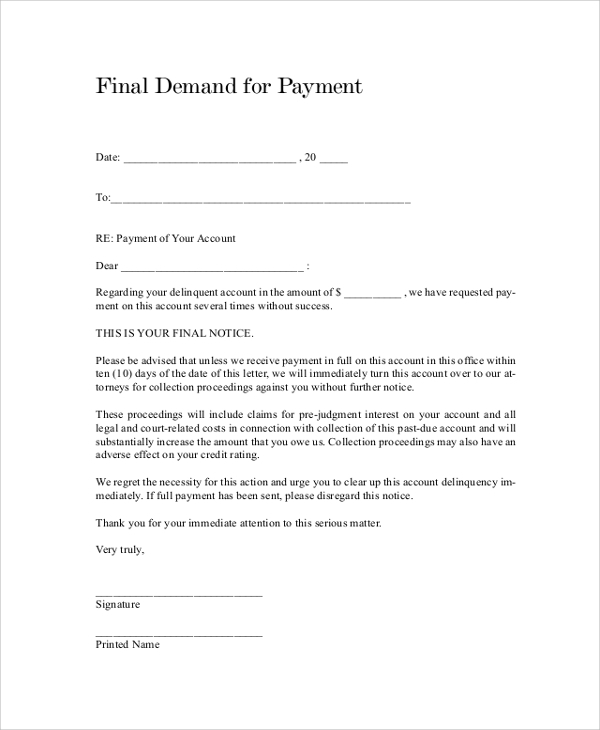 To prevent costly litigation, it’s advisable to first submit a demand letter in case of breach of payment. That way, if a demand letter is not responded to may constitute admission by silence. These Sample Letters are helpful for such cases. 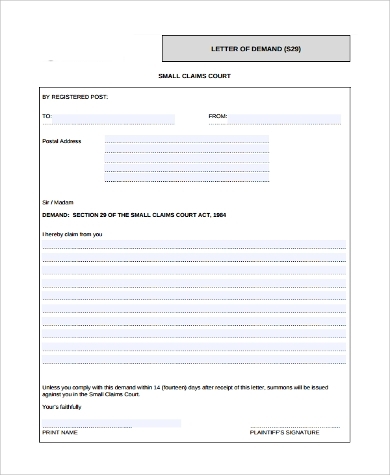 Demand Letters take on many forms that include insurance claims. 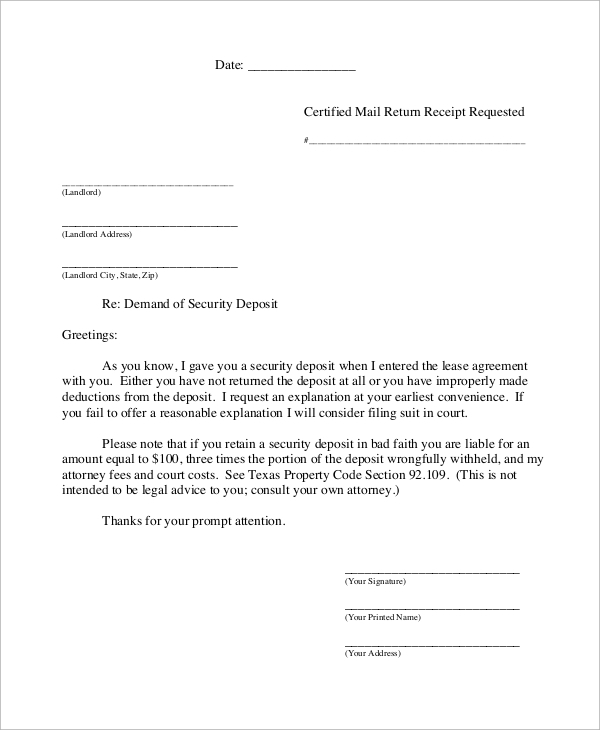 They can be as easy as a formal letter done by a company head or complex enough that a lawyer will have to be the one to make and send them for added weight. 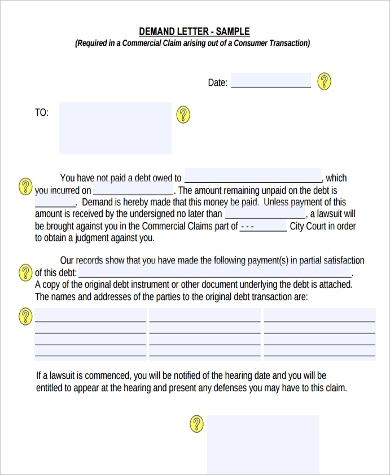 Draft includes a summary of a debtor’s account and how the company repeatedly demanded payment to no avail. Includes a time frame (usually 10 days) for full payment to be made before legal proceedings may be done and settled in court. For commercial claim in a consumer transaction; can also be fitted for retail theft or shoplifting, depending on the situation. A space is provided for a summary of any partial payment done with corresponding names and addresses of all parties involved. 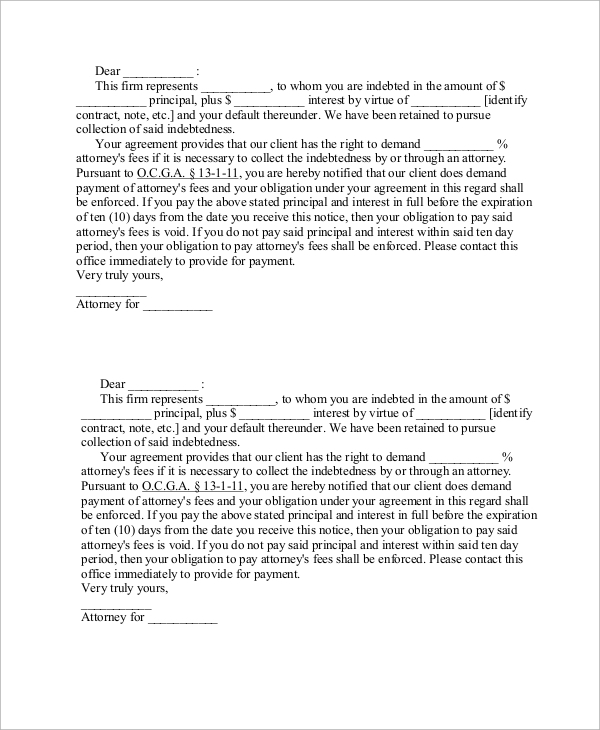 Made as a draft for lawyers representing a client to demand payment for an unpaid amount owed by an individual or institution. Template is easily alterable to fit the circumstances of the situation and easy enough for lawyers to browse through without making major changes. Made to fit with any standard legal demand letter and clear enough for a recipient to understand the legal implications of nonpayment. 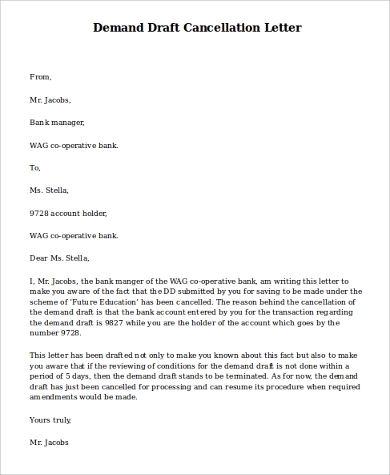 Sample presented on a demand draft cancellation that can be used by banks for clients who have problems with their accounts or payments. Details can be changed to deal with the circumstances involved in the draft cancellation. 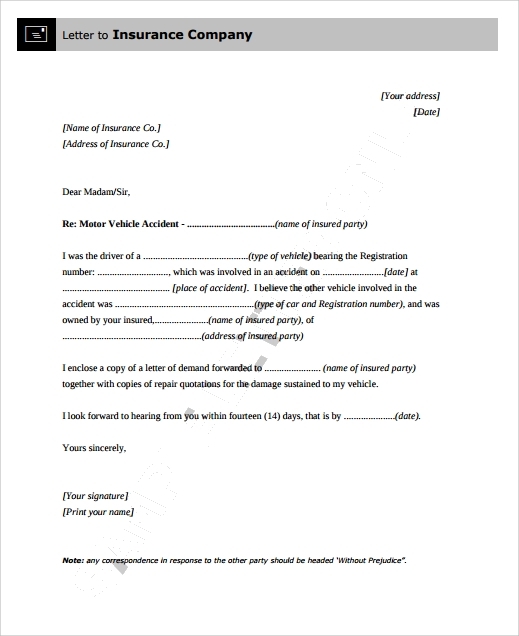 Here are additional Sample Letters of Reference that can be used as templates for demand letters. 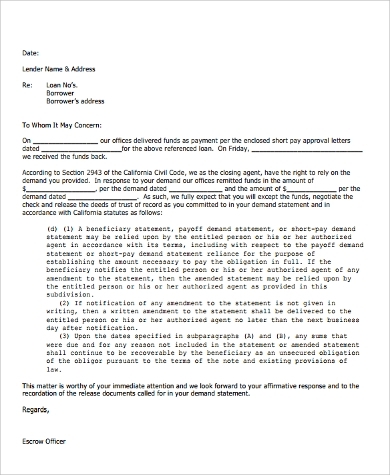 Lastly, bear in mind that Demand Letters are sometimes answered by a denial letter from the addressee to reject claims for payment. Our sample templates are constructed in such a way so as not to sound threatening. Since that may constitute harassment or intimidation, our templates are made in a formal manner to help prevent users from becoming embroiled in a different kind of legal action. 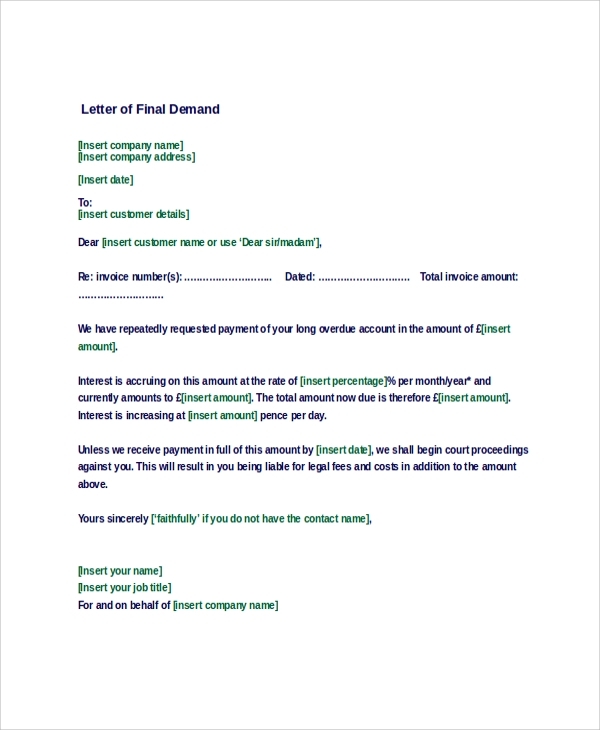 Here are other printable versions of Demand Letter Samples to conform to any compatible situation with which you can use to make a draft of your Demand Letter.